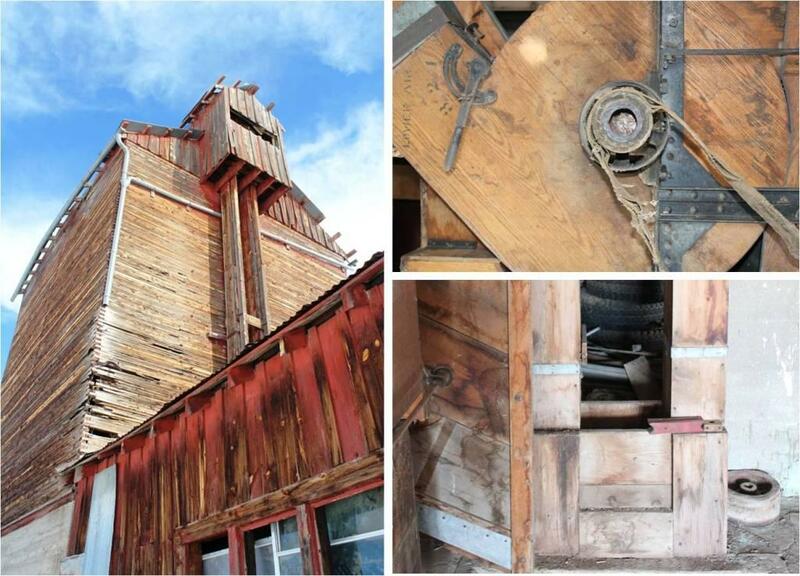 The Mancos Grain Elevator was built in 1934 by Grady Clampitt. Mr. Clampitt and Mr. Luellen, a bordering farmer, grew dryland wheat in fields bordering Mesa Verde National Park on the southeast side; those same fields are used to grow dryland wheat today,and it is the only wheat grown in the Valley at this time. The Elevator was put in use upon completion and remained in use for an indeterminate number of years following Mr. Clampitt’s retirement. With the farm no longer in use the Kennedy/Mancos Grain Elevator is currently being used as a storage unit for family belongings. The Elevator is in a prominent location highly visible from Highway 160, and is considered a landmark. Although agriculture still plays a large role in the economy of the Mancos Valley, there are few structures evidencing the historic heritage of farming that once made the Valley famous. Today ranching and irrigated hay production have replaced dryland grain crop. The Elevator is a statement of the determination of the agricultural community in place at the time it was built. Few examples of this particular unique workmanship are in place anywhere in Montezuma County today. The Kennedy/Mancos Grain Elevator exemplifies some of the issues facing grain elevators across the State, in particular, those located in the Western region where grain production and farming resources are rarer. The Grain Elevator was originally deteriorating due to a lacking roof, and drainage issues causing portions of the iconic stacked plank construction to fail. Since listing, the family has raised the necessary funds and hired a contractor to restore the roof, and it is now considered a SAVE. Save the Mancos Grain Elevator!